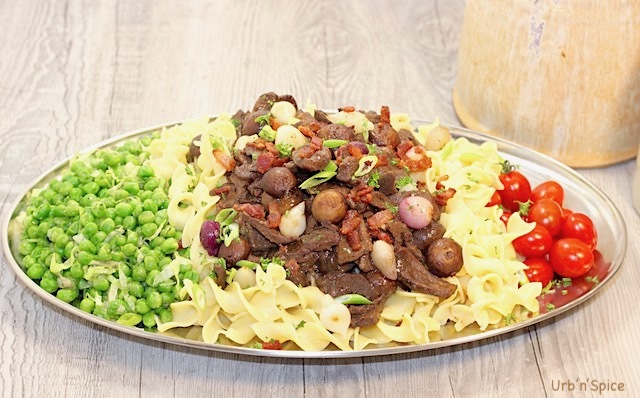 Beef Bourguignon is a classic French dish and is essentially a beef and mushroom stew served on noodles. It is typically made with a tender cut of beef like beef tenderloin. I have utilized more economical cuts of beef – such as stewing beef or chuck roast which I cut into strips for a more elegant appearance. The deliciously rich sauce with tender braised meat is served on top of tagliatelle or thick egg noodles. 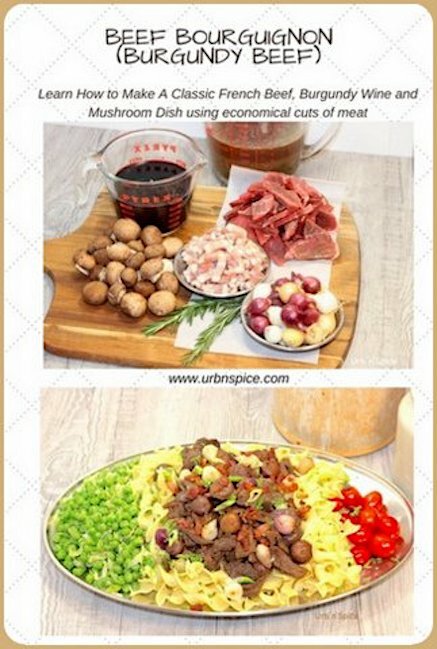 Beef Bourguignon is a very versatile dish that can be presented family style on a platter or plated individually with any number of garnishes. I usually save some of each of the pearl onions, caramelized mushrooms and crispy bacon lardons to garnish the finished dish – add a sprinkle of parsley and you are ready to feast on a delicious meal. Enjoy with a glass of Burgundy wine or any full-bodied red wine. CHEF TALK: Cut the beef into thin strips. Fry the strips of meat in small batches in a single layer in a Dutch oven without crowding. This recipe makes approximately 10 servings of Beef Bourguignon, which is plenty to serve a crowd or store in your freezer. 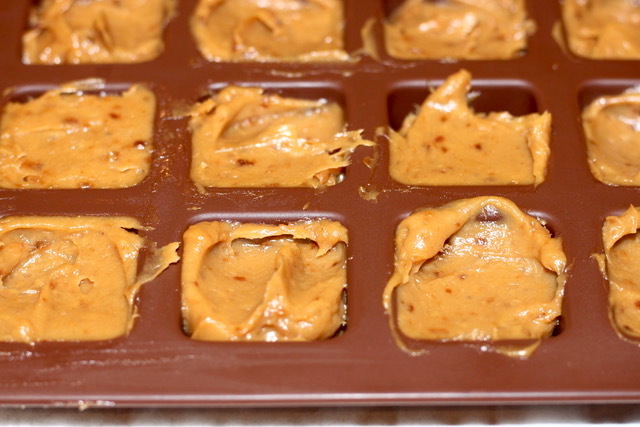 If there are leftovers, it freezes very well. CHEF TIP: Cutting the beef into thin strips is much easier if the beef is just slightly frozen. Place the beef on a parchment lined plate or small pan and place in the freezer for 30 minutes to 1 hour or until partially frozen. Place the beef on a cutting board and cut into thin slices, then into strips. If you can find them, choose the tiny gourmet Cremini mushrooms – they are a perfect size for this dish. 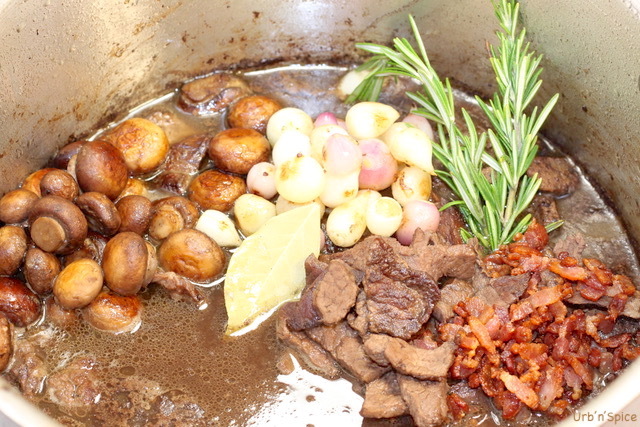 Save some of the crispy bacon lardons, some of the caramelized mushrooms and pearl onions for garnishing the final plating of the Beef Bourguignon. Serve with more Burgundy wine or another fine red wine. 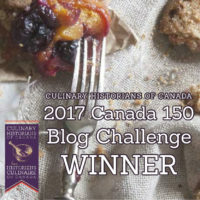 You will find another braised beef recipe on this website called Classic Braised Beef Stew with Roasted Root Vegetables. You will find that recipe here. In a Dutch oven, place the bacon lardons. Cook until the bacon is crispy. Remove the lardons and reserve for later. Drain the bacon fat. CHEF TIP: Add a small amount of water to the pot while you are frying the lardons. This helps to hasten the fat rendering process. The water will evaporate and the bacon will start to caramelize much more quickly. In the same pot, over low to medium heat, add 1 tablespoon each of olive oil and butter. Season the beef with salt and pepper. Add the beef strips to cover the bottom of the Dutch oven in a single layer without crowding. 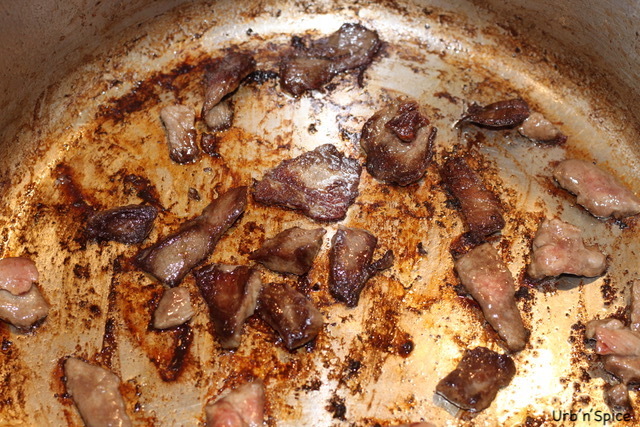 Allow the beef strips to caramelize on both sides. Remove the beef as it browns into a medium-sized bowl. Add more oil or butter as necessary as you continue to cook the remaining beef in small batches. Once all of the beef is cooked, add the red wine to the pot to deglaze the pan. Scrape up any bits from the bottom of the pan with a heatproof spatula. Pour this mixture over the beef in the bowl. Set aside while you prepare the vegetables. In the same Dutch oven, add a little more olive oil and butter. Brown the pearl onions quickly and remove to the same bowl as the beef. Repeat with the mini mushrooms and allow the mushrooms to turn golden and caramelize. Season lightly with salt and pepper. Reserve some of the onions and the mushrooms for garnish, as well as some of the crispy bacon lardons. Return the beef mixture back into the Dutch oven. Add the beef broth and the beef bouillon. Combine the flour and ¼ cup water. Stir into the beef mixture. Bring to a simmer and continue to simmer for 1 hour or until the beef is very tender. Taste the broth for seasoning and adjust if necessary with salt and pepper. Keep warm. Cook the noodles according to the package instructions. Drain the noodles when they are cooked and place them on a serving platter. 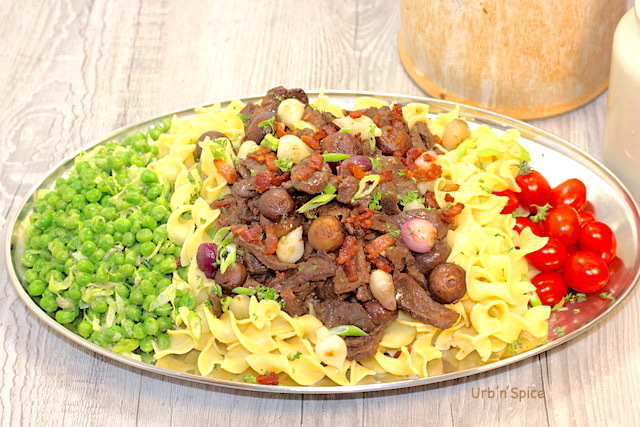 To Serve: Spoon the beef bourguignon on top of the noodles. Garnish the dish with the reserved bacon lardons, onions and mushrooms. Sprinkle the chopped parsley on top of the dish. Enjoy! Beef Bourguignon is a classic French dish and is essentially a beef and mushroom stew served on noodles. It is typically made with a tender cut of beef like beef tenderloin. I have utilized more economical cuts of beef – such as stewing beef or chuck roast which I cut into strips for a more elegant appearance. 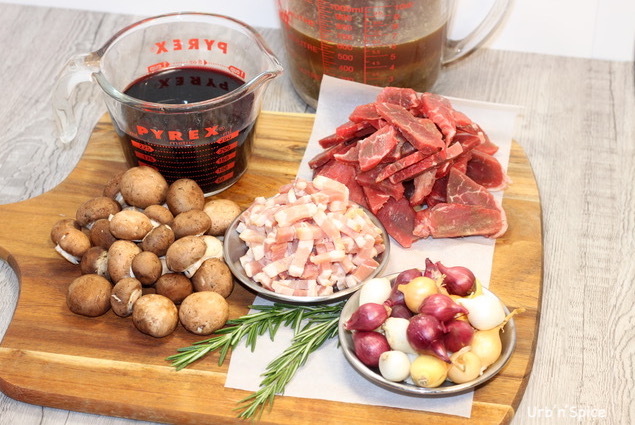 If you try my recipe for Beef Bourguignon (Burgundy Beef), please leave me a comment below with your feedback. Thank you so very much, Maria! You have just confirmed to me why I should keep doing the step by step instructions as a teaching and learning application. This dish is delicious and really quite simple! Please let me know if you try it! I so agree with you, Dawn 🙂 This Beef Bourguignon is a dish we make year around (and have in my freezer reserve) It is one of those dishes that you crave once in a while (yes, the crusty bread and red wine is a must, too!). Thanks so much for your comments. Thank you so much, Corinna. It is a braised dish and this cooking method definitely has a rich and beefy sauce that you will want to pour over mashed potatoes or just eat on its own! 🙂 I think it could also meet all the criteria for allergy friendly foods. I’ve only made Beef Bourguignon once, but it was a big hit. 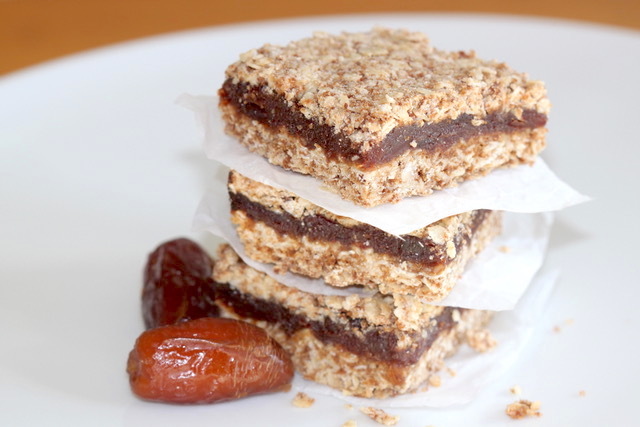 This recipe reminds me that I need to make it again! Also, totally agree with your tip on slicing the beef when it is slightly frozen. Makes life much easier! 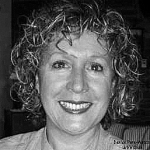 Thanks, Leanne! It is a great trick to partially freeze the meat. It works great with chicken breasts, too! I am happy that I inspired you to make this dish again! It is one of our favourites. 🙂 Thanks again for your comment – it is very much appreciated. This looks absolutely delicious! I’m craving those mushrooms right now! I appreciate your detailed instructions for a classic recipe. One of my all time favourites to make & of course eat! Love Beef Bourguignon! I like your take on the recipe and how it makes the dish more accessible to more people. Great job! Thank you, Melissa! I appreciate your comments. Beef Bourguignon is a lovely dish and you would never know that this version is economical. It is rich in taste and tasty enough for company fare. Cheers!